Course managers and greenkeepers could effectively and unobtrusively control dense coarse grasses in rough with Rescue treatment now, as the grasses begin to senesce naturally for the winter. Autumn treatment, whilst the grasses are still actively growing, means the selective herbicide taken up by leaves can be drawn down into the root system of susceptible coarse grasses, reported Syngenta Turf Business Manager, Daniel Lightfoot. "As the Rescue takes effect, treated plants have the appearance of natural autumnal die-back. 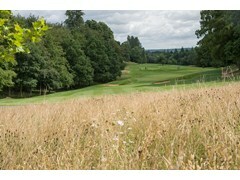 But, come spring, the fine Fescue grasses have the space to grow and create thin, wispy rough that is far more desirable for players, and for sculpting hole design to enhance playability." Rescue is the only fully approved selective herbicide for the removal of coarse Ryegrass in rough and fine turf surfaces. 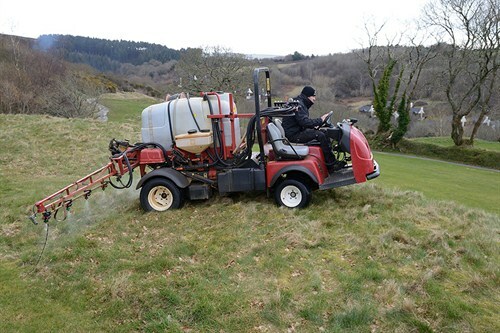 Dan highlighted that, after a slow start to the growing season, the problem of coarse grasses taking over rough has escalated during the late summer with strong growing conditions. "Course managers have reported dense growth in rough, with increased issues of slow play as players search for mishit balls or take extra shots to get out," he said. "Syngenta Player Survey research identified problems of dense rough was the source of the greatest player dissatisfaction with playability. "Wall-to-wall mowing, to deal with dense rough, is costly and time consuming - and does nothing for the visual appeal or ecological value of the course," added Dan. "Using Rescue as a tool to create thin, open rough can significantly increase the number or rounds playable and improve player satisfaction - as well as making playability of the course more enjoyable. "September is typically an ideal time for herbicide treatment," advised Dan (above). "It is important to get the application made whilst the leaf is actively growing." 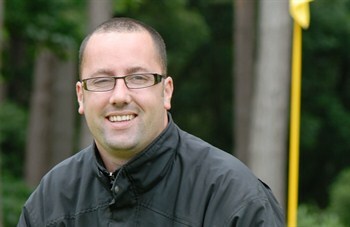 In Lincolnshire, Anthony Darker at Elsham Golf Club reported they are one year into a three-year plan to enhance the course's rough - aiming to make it thinner and easier to play out of; to improve the overall speed of play. "Using Rescue and over seeding with finer grasses, there has already been a noticeable difference in just this first year of trying it," he said. Dan added that sprayer operators would be best to select the Syngenta XC nozzle for Rescue application, since the spray pattern - designed to cope with slopes and undulations on the course - also assured good coverage of both tall stems and dense base growth when spraying rough. "The XC Nozzles are also significantly less drifty, compared to conventional flat fan nozzles, which can be particularly valuable for spraying in autumn conditions; they also produce up to 70% more droplets than other low-drift nozzles, to ensure good coverage of the leaf with Rescue." The GreenCast website provides weather forecasts, soil temperatures and application advice, which are all designed to help with more effective spray timing and turf management decision making.